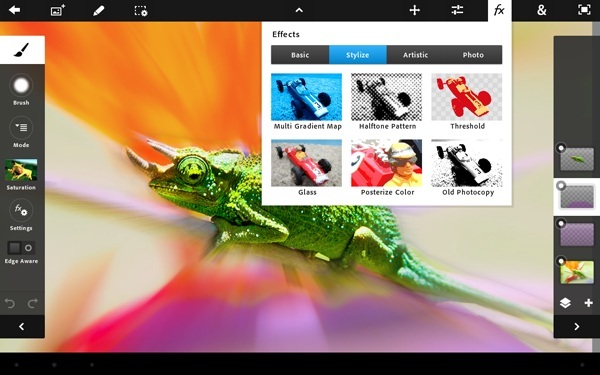 Win the New Photoshop Touch App! As college students, we spend lots of time on Facebook looking at photos. If you have ever wanted to learn how to make your photos look better, we're excited to introduce the new Adobe® Photoshop® Touch app to you! This app lets you quickly combine images, apply professional effects, share the results with friends and family through social networking sites like Facebook and more from the convenience of your iPad or Android tablet. Whether you're an art student or simply a college girl who wants to touch up her Facebook photos, check out the Photoshop Touch app. While $10 seems like a lot for an app, compared to the full Photoshop program, it's a huge steal. College Gloss is excited to team up with Adobe to give one of our readers the app for free! All you need to do is check out the Adobe® Photoshop® Touch app and comment with your name and email below.